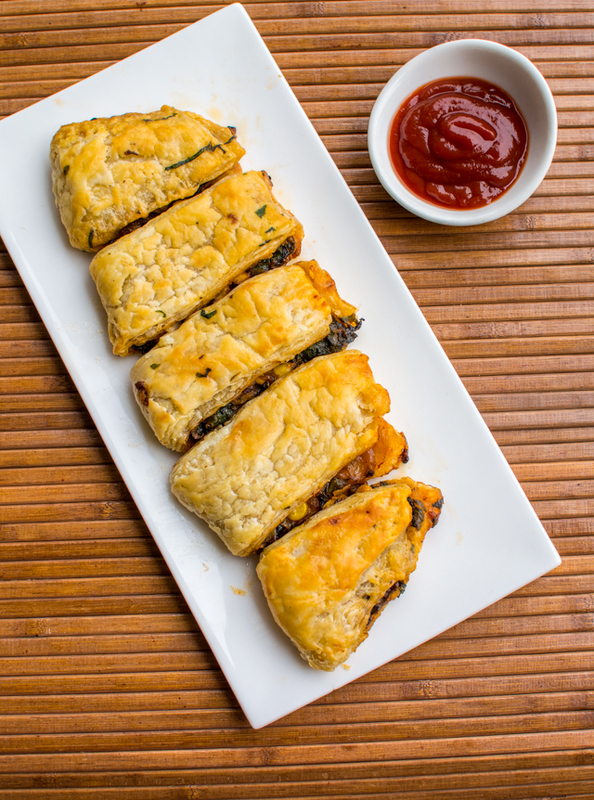 We have grown up on eating potato/chicken/mushroom puffs or patties as they were usually called in local bakeries. 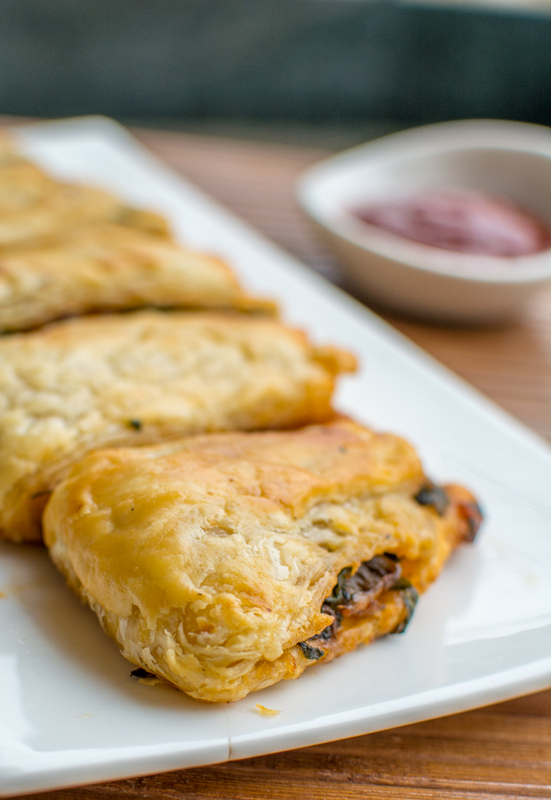 There was of course some shops that made it better than others but even the most basic ones did a good job - crispy layers of buttery puff and a simple filling to be eaten with ketchup. Nostalgia!! 1. 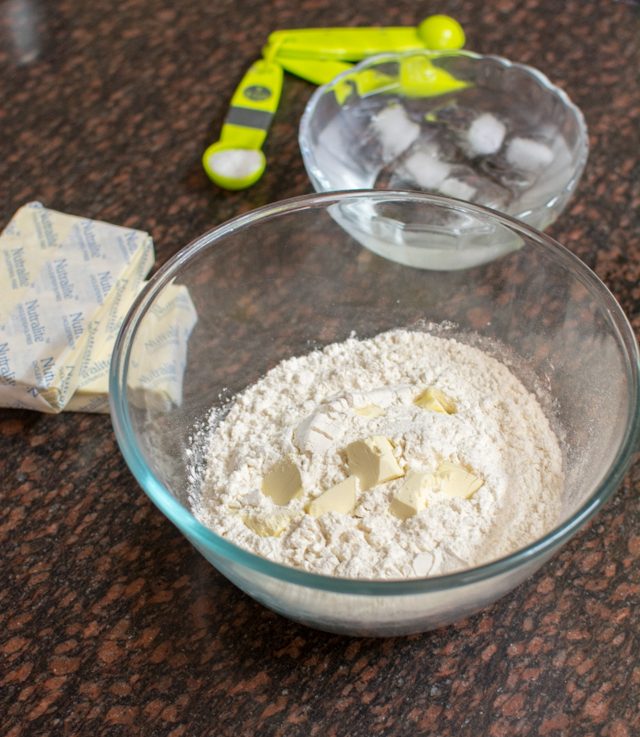 On a flat surface, make a pile of 2 cups flour and mix salt in it. Make a slit in the flour and add chilled water by spoon. 2. Mix it well to make a tight dough. 3. Wrap it in cling foil and keep it in freeze to chill. 4. Cut butter into small pieces and add add little flour to it to bind butter together and make one big rectangle. 5. Cover butter rectangle in cling foil and keep it in refrigerator to chill. and wrap dough from all sides. 7. 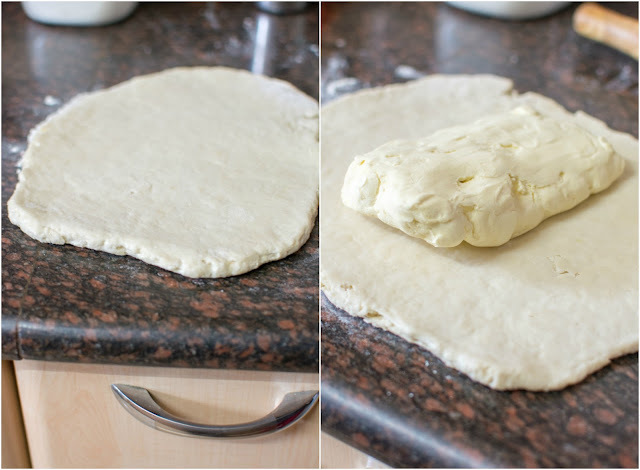 Now, again roll the dough into a thin sheet (5 - 7 mm thick). 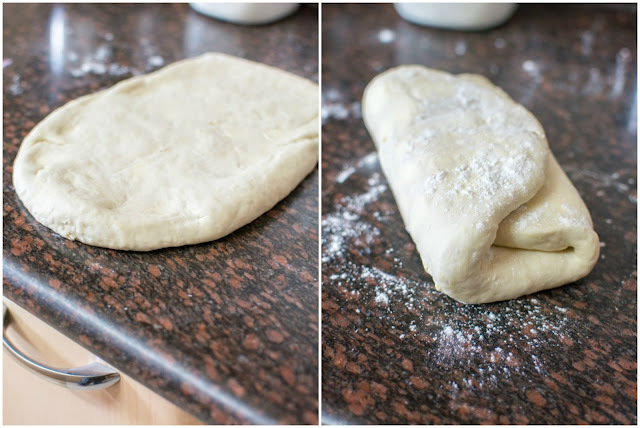 Fold 1/3rd of the dough over bottom and bottom 1/3rd over the top third. This is one turn. 8. Now repeat this step (roll into thin sheet and make folds) for total of 6 turns ensuring dough is chill at all times and butter doesn't melt. After every 2 turns, chill the dough for 30 mins before next turn. 9. After 6 turns (or 3 chill cycles), chill dough for at least 1 hour before using. 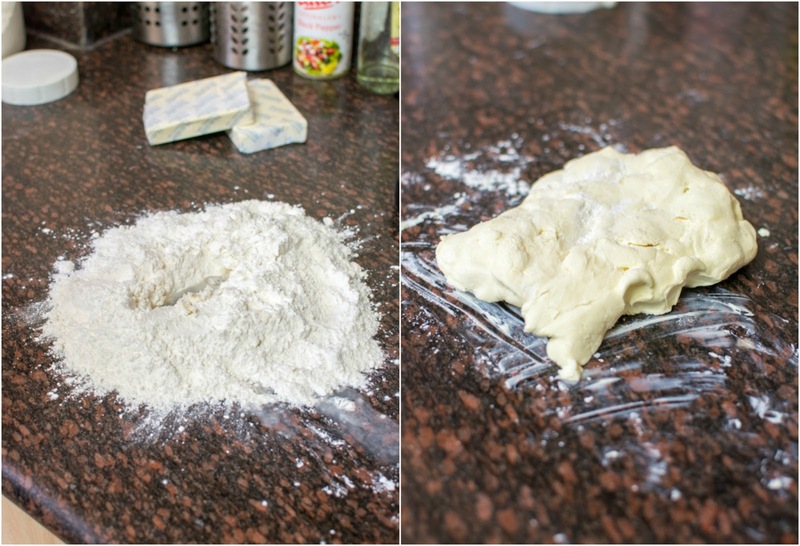 This dough can be used to make variety of snacks. 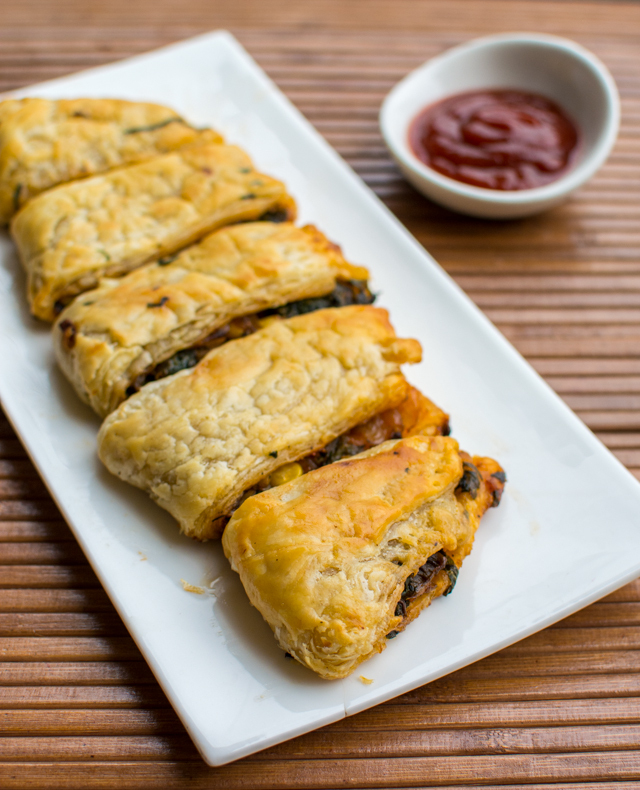 We tried spinach and corn puffs. 1. Pre heat oven at 220 degrees. 2. 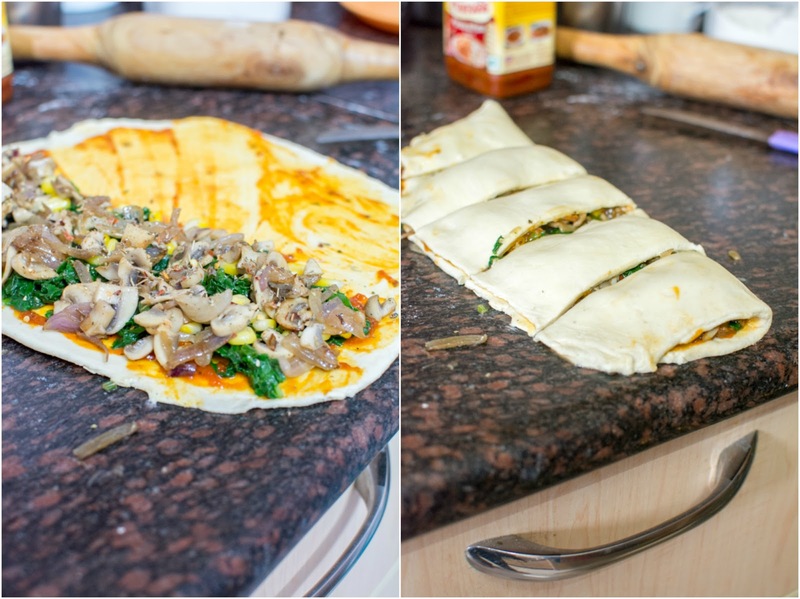 Roll the dough into thin sheet (3-4 mm). Fill it with spinach and corn mix. 3. Seal the corners using water. Use egg wash to cover the surface for glaze.